Signed by premier maker, "Colby, Est. 1866, Hand Made," this hall console table or server from the 1920's is solid mahogany. The wide drawer has solid oak sides with hand cut dovetail joints, embossed brass pulls are original. This American made antique furniture is finely detailed in the Georgian manner. 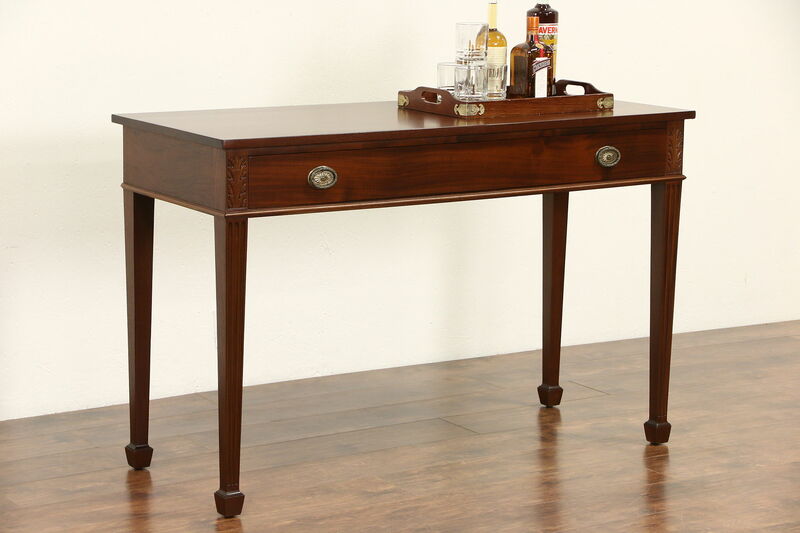 The restored satiny finish is in excellent condition, Marlborough legs are graceful. Measurements are 54" wide, 22" deep and 35" tall. See 24 photos on Harp Gallery website that enlarge to full screen size.